Aangezien de druiven roze zijn valt deze eigenlijk onder de witte wijn. Desalniettemin smaken van aardbei, framboos en verse bloemen! 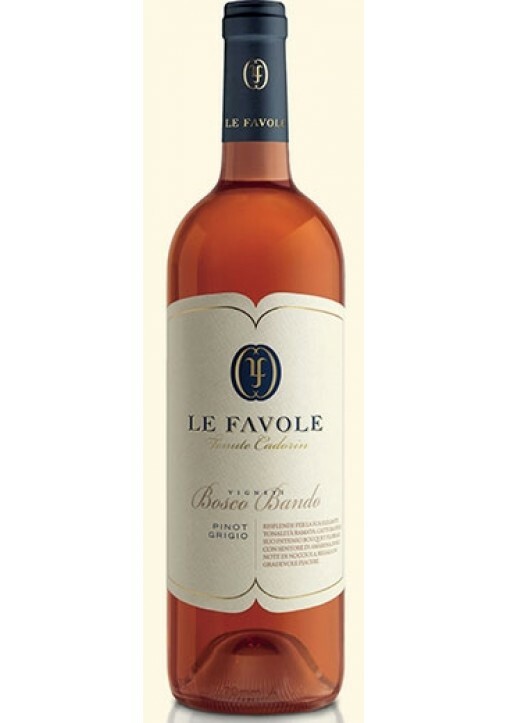 In the foothills of Pordenone, in the hills to the north of the town of Caneva, the Le Favole winery is nestled in karst rock surrounded by vineyards. A natural amphitheatre of rolling hills in a small and cosy valley, protected from the cold northern winds of the Cansiglio plateau, where we combine modern wine making methods with its ageing process in barrels. This wine region is the most northern-east located region in Italy. It borders Austria in the north, and Slovenia in the east. Although the region can be divided into several smaller sub-regions, the most known ones are the Prosecco and Friuli-Grave region. It produces many single varietal wines (made of only one grape variety), mostly of the internationally known kinds such as Sauvignon Blanc, Chardonnay, Cabernet Franc but also more indigenous varieties such as Friulano and Refosco. This region has the most DOC and DOCGs in the whole of Italy.